A series of triple calls started today in Le Havre with the simultaneous calls of the AIDAcara, Celebrity Infinity and Caribbean Princess. 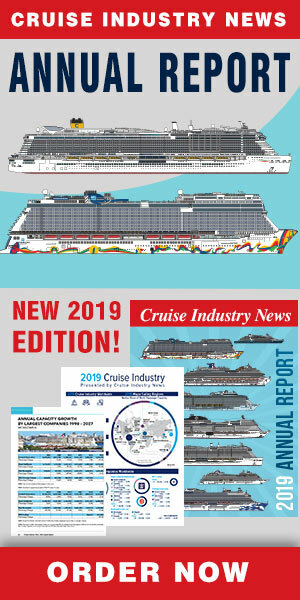 The other triple calls are expected on Sept. 7 with the MSC Magnifica, Celebrity Infinity and Thomson Spirit; Sept. 8, the Infinity again along with the Ocean Princess and Grand Mistral; Sept. 9, the Astor, Magnifica and Infinity; and Sept. 23, the AIDAsol, Mein Schiff 1 and MSC Opera. To improve passenger and crew reception, a permanent reception bungalow, dedicated to cruise ships in transit has been set up on Joannes Couvert pier. The new facility is in addition to the main cruise terminal and the second welcome hall. It is decorated with the cruise logo of Le Havre and its slogan, “the gateway to Paris”. 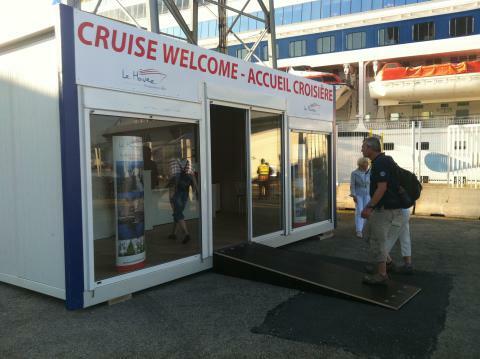 Like the other cruise passenger welcome buildings, the new welcome bungalow is managed by the tourist office which is present on each call to deliver information on Le Havre and the area.